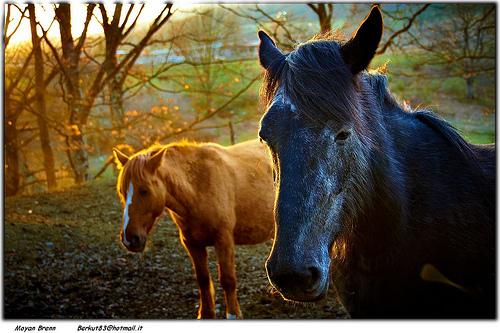 Why Swap Horses Midstream? Leaving one PhD program for another. It’s seldom a good idea to swap horses midstream, right? Right. And it is, in my opinion, seldom a good idea to swap PhD programs midstream. But I did, and I want to reflect a bit on my decision in hope that this may help someone else facing a similar dilemma. Grammar and a Colloquium. Within the first year, I also took advantage of two language reading courses offered, one for German and one for French. The program itself, though brand new at the time, was (and is) well planned and structured. The coursework I had (close to 40 cr. hrs. altogether) sharpened my critical thinking skills and built upon the foundation of my Master’s degree quite well. Truthfully, I wanted and needed coursework. My Masters was heavily focused in language study (Greek and Hebrew), and my passion was Greek grammar and syntax (Nerdy, huh?). While this serves a PhD student well, I needed to broaden my knowledge to some of the other disciplines within biblical studies to be better equipped for writing a thesis. Coursework immensely improved my ability to critically engage ideas, make arguments, and present them to peers, as well as exposed me to broader issues in biblical studies. So Why the Thought of Change? All along I had a desire to study at an institution considered to be among the best in biblical studies, an institution with a rich history, with a reputable scholar (or two) under whom I could learn. Now, this is no slight against Midwestern, nor the wonderful professors I had. Not at all. Midwestern has Edinburgh-trained, Cambridge-trained, Aberdeen-trained, Toronto-trained, etc., scholars who are active in scholarship. 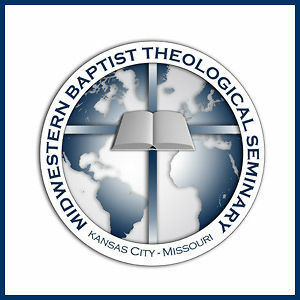 But the purposes and facilities for study of most seminary PhD programs, including Midwestern’s, are distinct from those of larger established universities. Also, as I advanced in my coursework during my second year at Midwestern, I began to enjoy greater clarity regarding my sense of calling in life. This is difficult to describe, but suffice it to say that I began to sense that a University setting would better prepare me for my future work. So all along a thought recurred to me: What if I would have applied to a UK University? With this came another thought: How will stopping my studies at Midwestern be perceived? Would professors or administrators feel betrayed? Ultimately, one cannot make a decision based solely on the fear of how other might react. I was able to be open with professors about my concerns, about my situation, and they advised me honestly. Each one I spoke with was able to give me great reasons for staying at Midwestern. But each one also affirmed they were after my best interest. So in my case, deciding to leave was helped greatly by a reassurance that professors I was closest to understood my reasons for leaving, even if they couldn’t personally recommend it. As one might assume, there was an overlapping period of considering leaving Midwestern and seeking potential landing places. In the end, I decided on applying to two programs that fit my criteria (complex criteria that perhaps I’ll unpack another time), and I was accepted to both. One option included a distance-study program that would be low-impact on my family situation and my ministry situation. The other option–the most exciting but risky–was to go to the UK to study. The UK institution that best fit my interests and thesis proposal was the University of Edinburgh where I applied to study under Paul Foster. It didn’t take long to hear back about my acceptance into the program, and I’m quite happy to say we’ll be leaving our homeland for Edinburgh in only a few short months. You might need coursework but get by without. Dive in the deep end, if you will, and swim. It’s risky, but you might make it. (No, don’t do this–at least go to number 2). You might need coursework but get by through intense personal study in preparation for a non-coursework PhD. This is probably less expensive than signing up for a program. If you’re fired up and ready to jump straight to a thesis, go for it. Apply to a UK program. You might need coursework and consider the route I’ve taken. I cannot recommend doing so unless you first discuss it with your superiors (e.g., advisor(s), affected professors, etc.). Now you may not sign a contract when you accept an offer to a PhD program, but virtually every PhD program that accepts you rejected many many others. Programs take risks when they offer a place to someone, and I feel it is only right to disclose your intentions up front. Could you be rejected on the basis of your intention to only complete coursework (or perhaps both coursework and comps)? Sure. But I think concealing your intention to leave the program halfway is unethical. I’m certain some will disagree with me about this. In my case, I hadn’t planned to switch programs when I began. Even so, I felt it was right to discuss my situation as outlined above as soon as I was contemplating leaving. After I had made up my mind to consider leaving, I learned of an SBL article in the forum archive section of the SBL site in which “Three Doctoral Students Reflect on Their Decisions” regarding their doctoral programs. One chose a British program, another an American, and the third a combination of both (similar to my route). Give it a read. I must mention Nijay Gupta’s helpful discussions of these issues. His advice on New Testament PhD prep, at one point in blog form, “Interested in a NT PhD” , has been updated and expanded (in many great ways) in book form: Prepare, Succeed, Advance: A Guidebook for Getting a PhD in Biblical Studies and Beyond . Tons of helpful information. Get it and read it. 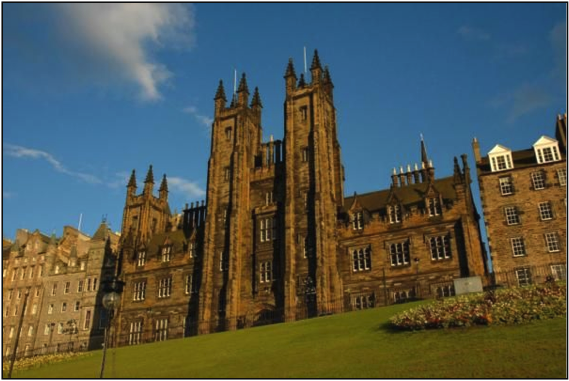 I was able to successfully apply for the precise place of study I wanted most: to study under Paul Foster at Edinburgh. I’ve also successfully applied for scholarships at the University. I was advised by a former student in the UK, “Pray you get a scholarship, but plan that you won’t.” Now, there is no substitute for hard work, high marks in previous education, etc., but spend some time learning how to make a good (and honest!) application, how to be well prepared, etc. I know of no better, fresher book than Nijay’s to help with that process. Two other resources that deal with related issues include Köstenberger’s Excellence: The Character of God and the Pursuit of Scholarly Virtue and Witherington’s Is there a Doctor in the House? : An Insider’s Story and Advice on becoming a Bible Scholar . Köstenberger’s book presents helpful counsel for a Christian who is a scholar or interested in becoming one; Witherington’s covers a lot of the same ground as Nijay’s book, but less detailed in certain areas; Ben has the advantage of many years of experience and covers the scholarly tasks of writing and teaching in some helpful ways–I would recommend Nijay’s first, Witherington if you can, and Köstenberger for discussions related more broadly to the “how” and “why” of Christian scholarship).